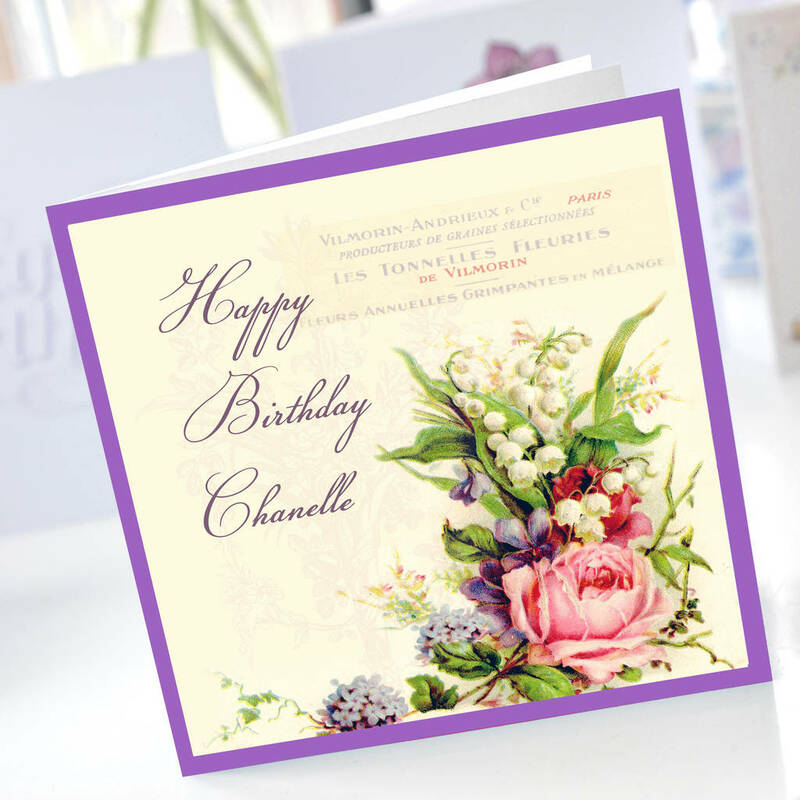 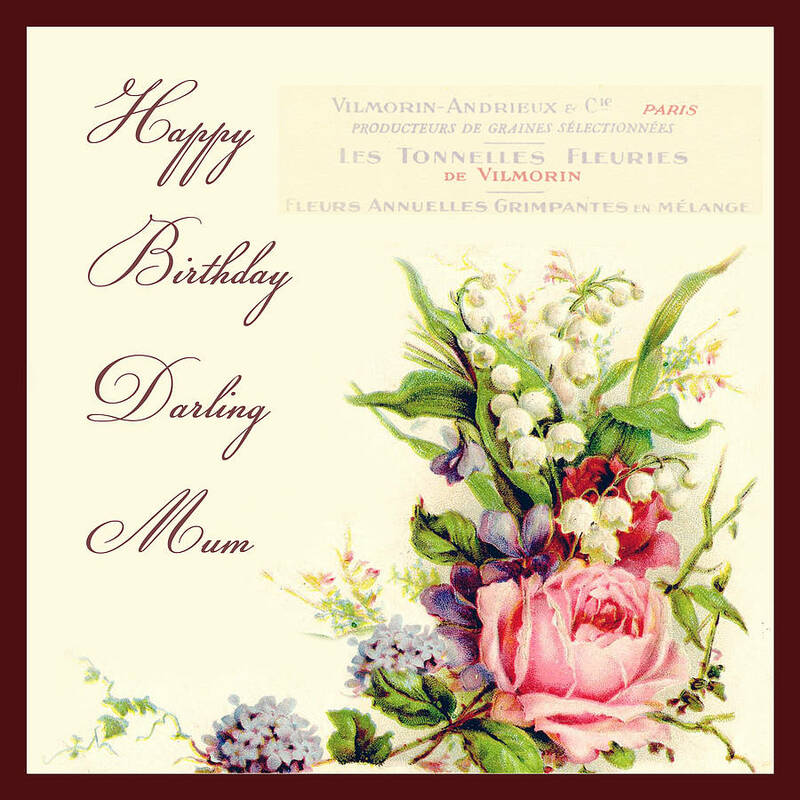 Vintage Flowers birthday card which can be personalised with your own words. 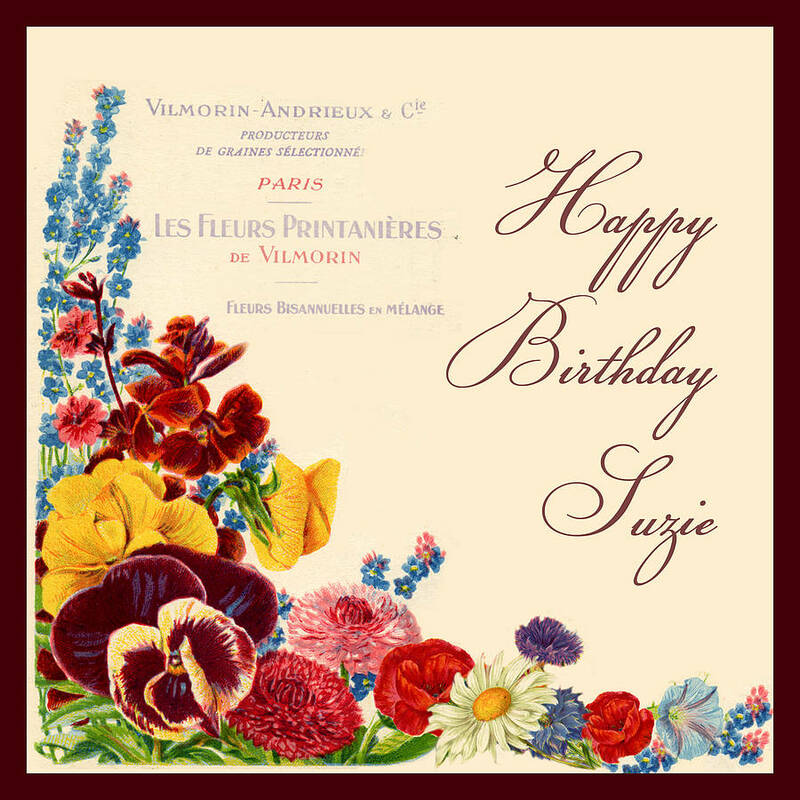 These flowery personalised birthday cards are printed with gorgeous vintage images, a lovely card for your special friend or relative. 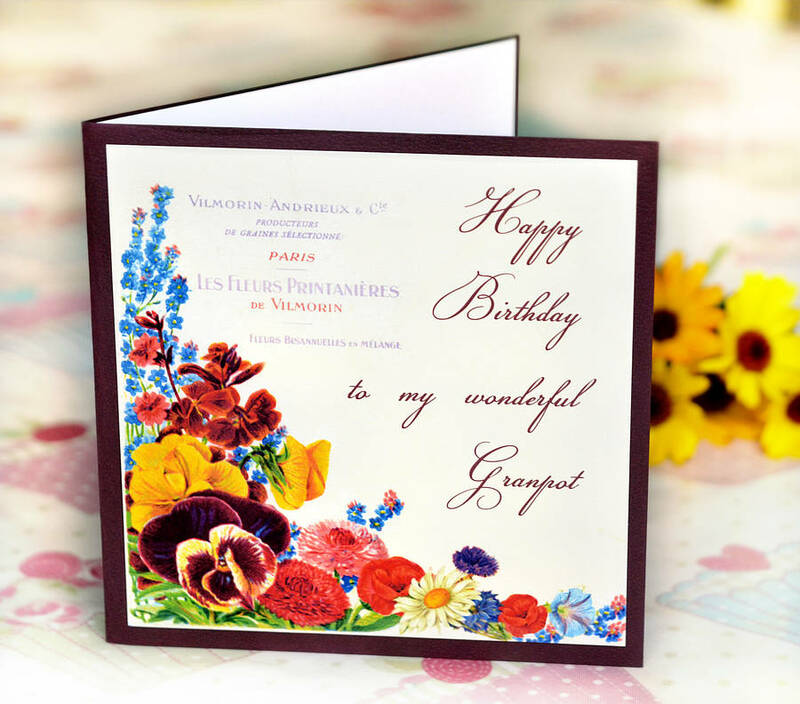 All our cards are printed with archival ink on archival board. 155mm square handmade cards supplied with matching envelope.